What happens after the training session begins will require your utmost attention. You might have argued with your parents because you spend too much time playing video games, perhaps you are restless because you got angry with your best friend over something silly and want to make up or maybe you are just nervous because the day of an important competition approaches. Now is the time to train, give everything you have to give and make an effort to detach yourself from those worries and have the mythical, perfect swimming practice. Separate what you really want to focus on and remove all other distractions from your mind. There will be objectives before you that truly matter, and what you need to do is pay them your full attention if you want to achieve them. The following advice might help you. Free your mind of all unnecessary thoughts during the training session, pay full attention to the instructions from your coach and listen to his advice; they will be useful for you. Drink enough liquids with electrolytes and mineral salts during training and afterwards. These will help you maintain proper hydration levels and give your body an essential part of the nutrients it needs to ensure proper bodily functions, thus avoiding unwanted dehydration that will lead to fatigue and reduced performance. Make the most of breaks between repetitions to recover; don’t waste energy, you’re going to need it. Relax and focus all your senses on what you are doing. If your practice is longer than 90 minutes and intense (like many are), make sure you intake some food/calories. It might be the case that you get too tired and have a tendency to start your sets very quickly. Learn to control your pace, analyse your feelings while you swim. 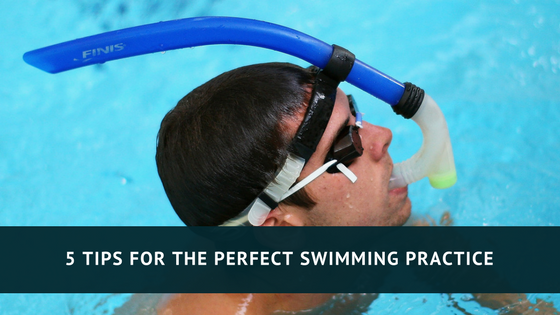 Observe and compare the signals being sent to you by your body, channel all that information into becoming a better swimmer and effectively regulating repetition intensity. Worrying about your technical mistakes is important, but it is more important to focus on doing things right. The way you execute your turns, the way you move through the water, your distance and speed underwater with the dolphin kick and how you break the surface are details that matter and decide races. By focusing on these aspects, you can polish your style, enhance your legs, increase your ability and also strengthen your weakest style. Training was tough and your coach congratulates you. You are satisfied and think that you have achieved all your objectives. You arrive home early, have dinner and – rather than go to bed early – entertain yourself on the computer until the early hours, when you have to get up at 05:30 to train again. The alarm goes off and reality tells you that you gave too little time to recovery, you are exhausted and can hardly move. Now you understand who your parents got angry. To achieve your goals, you must be critical and demanding with yourself, accept your mistakes and be aware that your training does not stop at the end of the training session but rather continues into what is known as invisible training. This is what you need to do out of the water to continue progressing and developing your potential; that which is beyond the control of your coach because it needs to take place beyond conventional training situations. If you want to achieve a very difficult goal and make your athletic dreams come true, you need to be motivated, you need to want it no matter the cost, you need to apply your passion, be strong and persistent, and maintain a constant pace of effort when difficulties arise. Written by Agustín Artiles (“Champi”). Agustín has more than 35 years of experience as the Head Coach of some of the most important Spanishswimming teams He has been the Coach of the Spanish Swimming Team from 2008 to 2012, and has trained the 50 breaststroke Spanish national recordman, Hector Monteagudo Espinosa, from 2002 to 2013 Agustín has also trained several international swimmers from the Spanish National Team and from the European and world top ten, as well as paraolimpics athletes with medals and world records in all the different categories. He has also been accomplished with the award as the Best competition swimming coach in Spain 2006, as several recognition for professional merits.